Mold and mildew are everywhere. Tiny spores in the air make their way into buildings and collect on any surface where there is moisture or humidity. For facility managers, these fungi are major concerns, as they have serious impacts on indoor air quality (IAQ). The effects of these contaminants range from allergic reactions to other serious health effects, caused by particulates or in some cases mycotoxins, making mold removal/mildew remediation a priority for any commercial building. The spread of allergenic substances throughout the building. A reduction of cooling capacity. An increase in humidity levels, allowing mold and mildew to thrive. 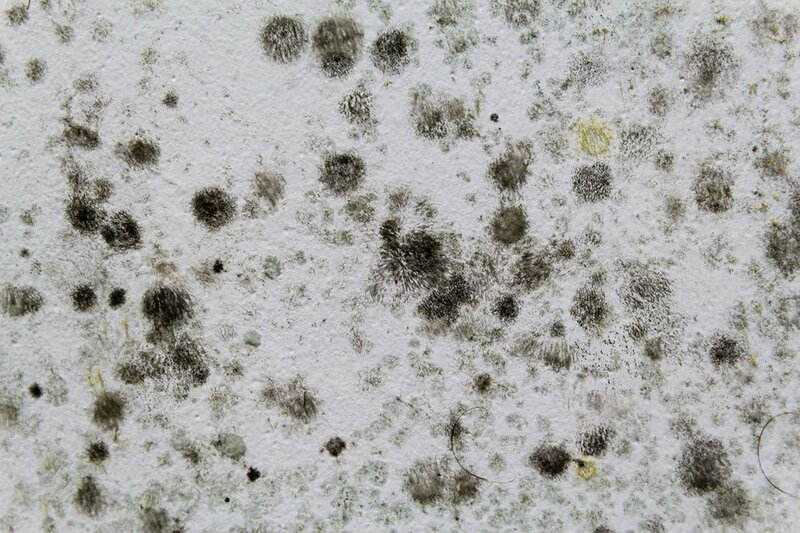 Mold also has a musty odor that can be unpleasant for employees, managers, and visitors in a commercial building. One does not have to see it to smell it because mold can grow where there’s no sunlight. Mold and mildew growth can remain hidden for some time but, in addition to window mold and growth on wood surfaces, carpeting, insulation, and even dust, it can weaken wooden frames, walls, and floors. The issue can progress beyond IAQ to a serious and potentially catastrophic matter of structural integrity. If a building occupant has a mold allergy, the reactions can be even more severe. People with compromised immune systems are at risk as well. Whether they’re exposed within the building or outside, near wooded areas, grass, or compost, they may experience chronic lung illnesses and serious respiratory infections. Mold and mildew affect IAQ, but managing air quality can make things less conducive for growth. The fungi grow anywhere the temperature is above 40°F and less than 100°F, so creating an inhospitable environment is tough without compromising human comfort. Nutrients play a role in the proliferation of mold, but eliminating all nutrient sources is impossible. Like mold, mildew proliferates wherever the surface is moist. Therefore, addressing moisture issues is the most effective way to limit growth, and related IAQ concerns, in a commercial building. The relative humidity must be over 70% for mold/mildew to flourish, so indoor relative humidity levels should be between a comfortable 25% and 60%. For surface temperature dominated mold/mildew, raising the air temperature over affected surfaces, or decreasing heat loss with insulation or by closing wall cracks, can help. Vapor pressure-dominated mold and mildew can be mitigated by venting moisture to the exterior, allowing drier outdoor air to mix with humid indoor air, or using dehumidifiers. Window mold: Mold in house/building properties often grows around cooler window surfaces, where condensation occurs. Insulated glass addresses this problem, but high-performance glazing systems often don’t, because interior vapor pressures can be kept higher. Glass moisture won’t be visible, whereas, in older structures and windows, visible condensation indicates the need for interior ventilation improvements. Mold on walls: It may be hidden but can do a number on IAQ. Thermal insulation raises temperatures, reducing the risk of developing mold and mildew on interior surfaces of a wall cavity, particularly where heating is needed. It also limits heat loss from air-conditioned rooms into the wall spaces. Concealed condensation can be controlled by reducing moisture entry and raising condensing surface temperatures. HVAC mold: Proper HVAC maintenance can keep the system free of mold and mildew. Clogged filters can reduce air quality, affect temperature control, and increase humidity, so they should be changed regularly. Drip pans should be kept clean and unobstructed so condensation doesn’t build up. Shoring up any plumbing issues or leaks in walls/roofs will prevent moisture, mold/mildew, and IAQ problems. With all these measures, you can manage mold and mildew growth, improve commercial building IAQ, and reduce the chances mold removal will be needed. You can also protect the health and well-being of all building occupants.